Handheld users have been enjoying Monster Hunter for a very long time, but the people who own home consoles were left out. 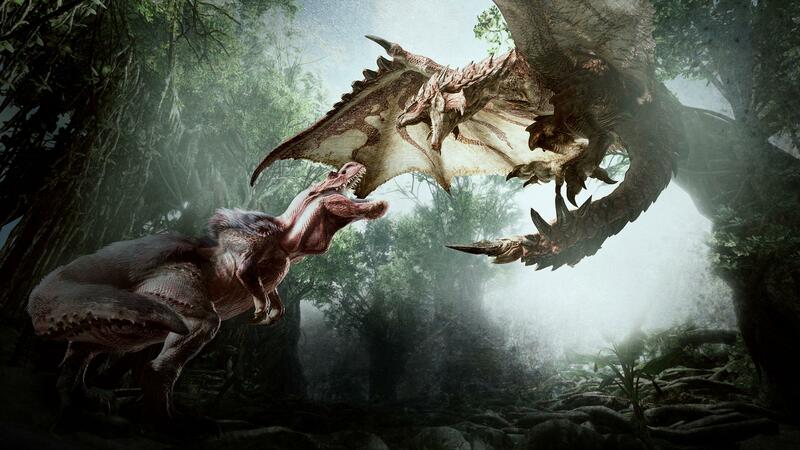 It had been a long time since the series came on to the home consoles, which is why it was a huge surprise when Monster Hunter World got unveiled at last year’s E3. People were ecstatic as they couldn’t believe that one of the biggest video game franchises has finally returned to home consoles. Not only the series revival was good, but the announcement trailer itself was amazing. It revealed the beasts that you will be hunting on your journey, showcased the beautifully detailed world, and the weapons that you will be using. It was a complete packaged trailer and had people excited. Just over seven months after the reveal, Monster Hunter World has been released and it is just as awesome as we expected it to be. Graphics have never been a strong point of the series, but developers have changed that perspective through Monster Hunter World. The game looks absolutely amazing and every single area you visit is highly detailed. Furthermore, the character creation is implemented really well and you have a ton of options to choose from. No matter what you create though, they will certainly look fantastic. The same amount of attention has been given to game’s most important part – the beasts. Every beast you encounter is different from the others and have their own unique look. There are a ton of different species and then their sub-species so you will be hunting monsters for a very long time and as mentioned above, the developers have done a brilliant job of differentiating them. It is typical Monster Hunter game that you expect. The combo depends on the weapons you are using and there is a significant arsenal in the game. In the beginning, you can choose the weapon of your choice, and as the game progresses, you slay beasts and with the material you get from the, you can make new weapons or improve the ones that you already have. This cycle continues as you are continuously improving your gear, managing resources, and are slaying beasts in the process. The world is huge as well, so you will have a lot to explore as well. Exploration is an integral part of Monster Hunter as you acquire different resources that you wouldn’t have been able to get otherwise. The biggest and the most fun part however is the beast hunting. You get a quest to slay the beast, then you follow their tracks, try to found them in the huge world, and when you come up upon them, you have to figure out their strengths and weaknesses. The quests are timed so you have to do slay the beast at a faster rate. If you are facing trouble though, there’s no need to worry because the game has multiplayer which allows you to summon up to three players to join the hunt with you. They will help you take care of the beast and you can move on in the story without much of a hassle.